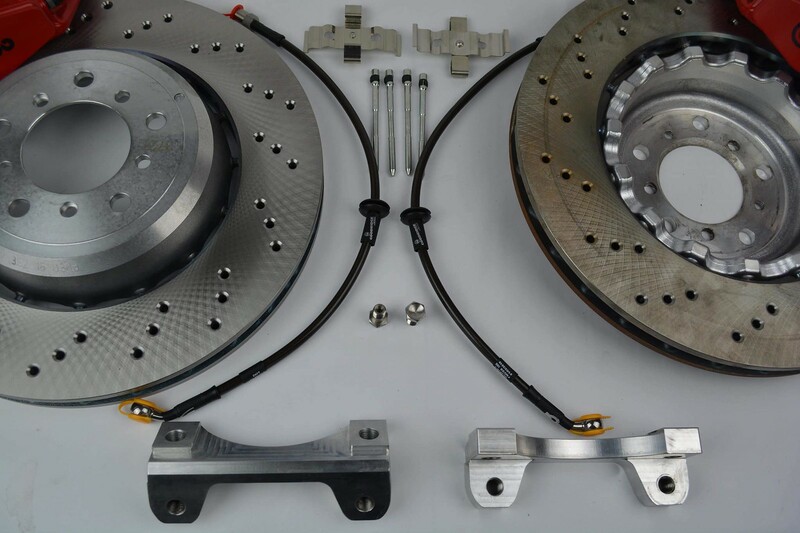 Brake bias is kept to under 1% difference front to rear with just these fronts, so the kit is engineered specifically for the car! We decided upon 4 piston (as opposed to 6 piston) because 6 piston is not needed for this car, has less pad selection, and adds more rotational mass to all 4 corners of the car. Right now we are only offering this kit for the front. 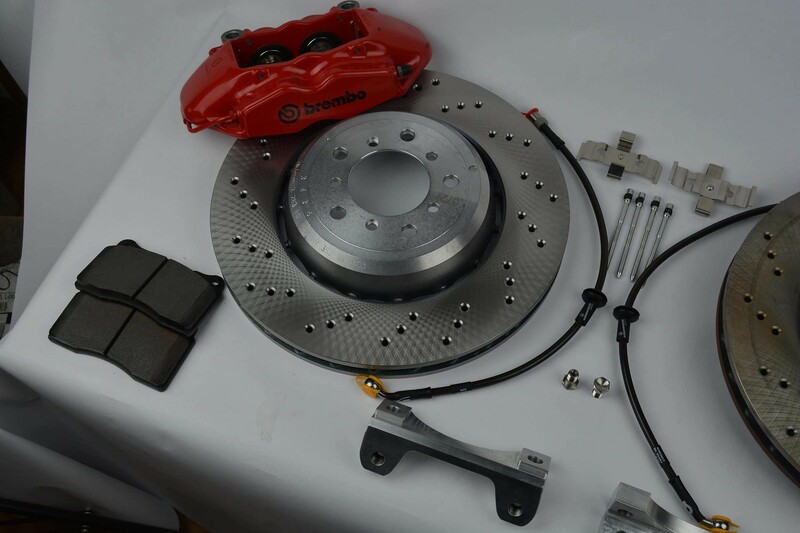 We are working on a rear kit as well, which I will add to this post once available (which should be shortly). 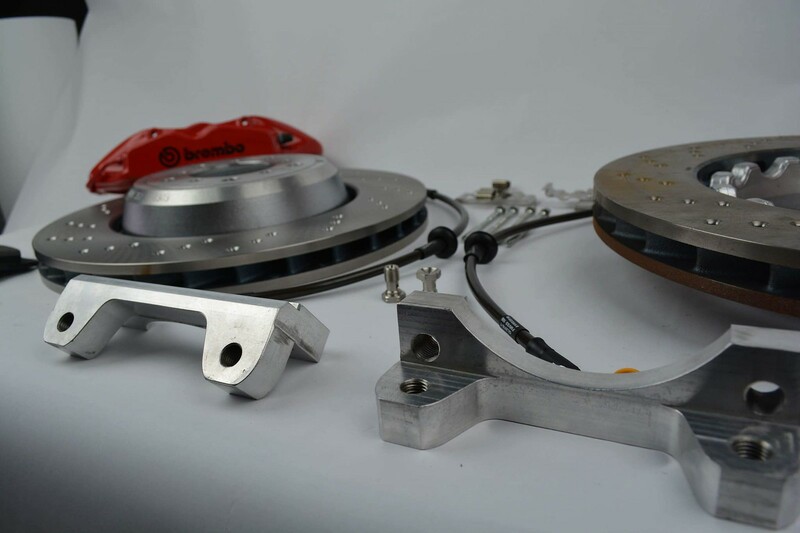 Again, these will also be 4 piston (front and rear pads will be easily interchangable -- so more brake pad life) and the brake bias will be kept to under 1% difference from stock. All new, nothing second hand or refurbished. 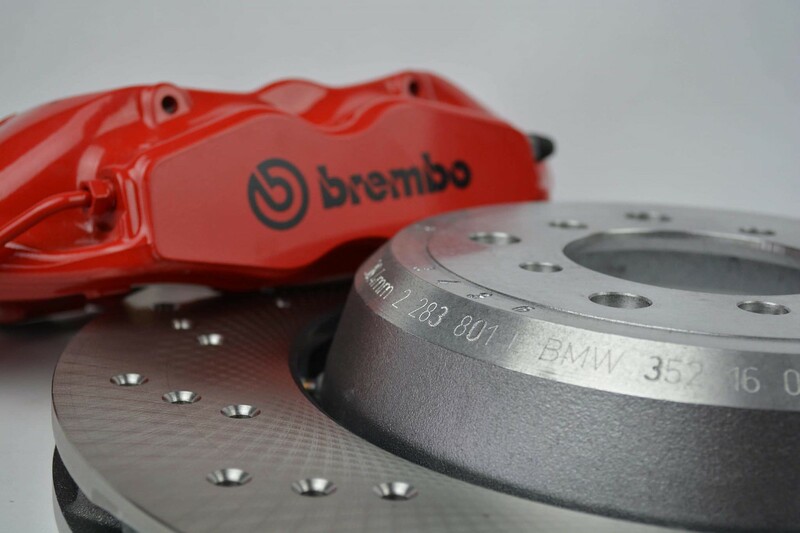 Of note, the e46 M3 355mm Brembo GT kit -- 4 piston (1B1.8015A) is a 2-piece caliper and not a true monoblock caliper like what is being offered in this kit. 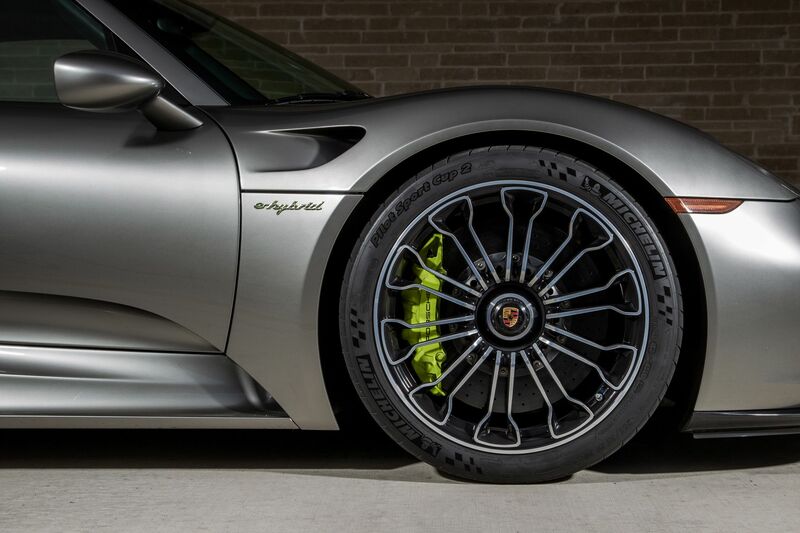 What this means is, in theory, our kit will offer less flex in the caliper under extreme conditions. 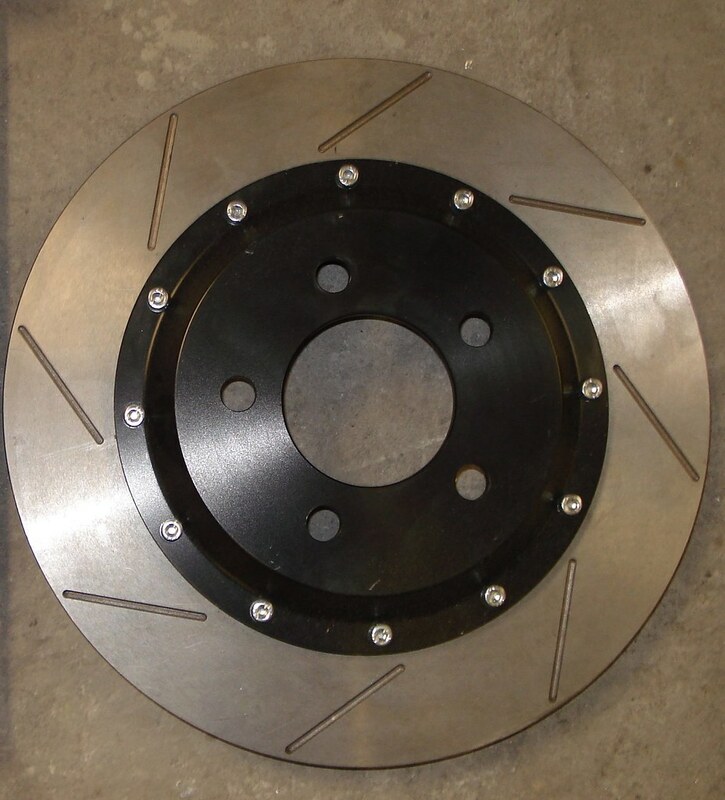 *We are still waiting on the drilled rotors to arrive. I will post pictures when we have them on hand. 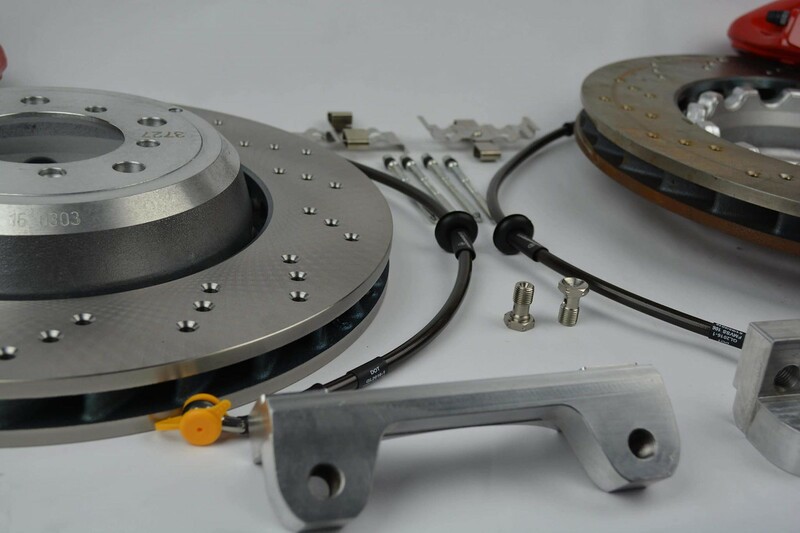 We chose to not use the thicker 32mm disc because of rotational mass. We came to the conclusion that 28mm is the best medium. 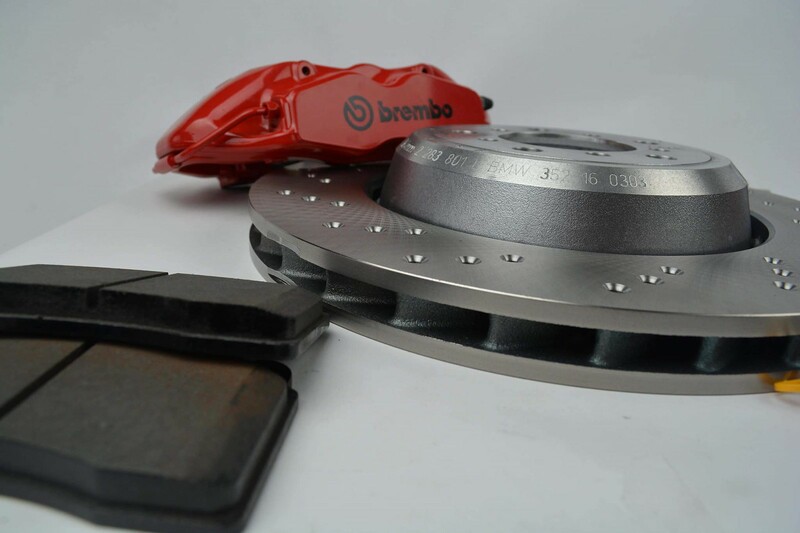 28mm means you can use a 4cil forged caliper, with a much lighter disc - lowering rotational mass. 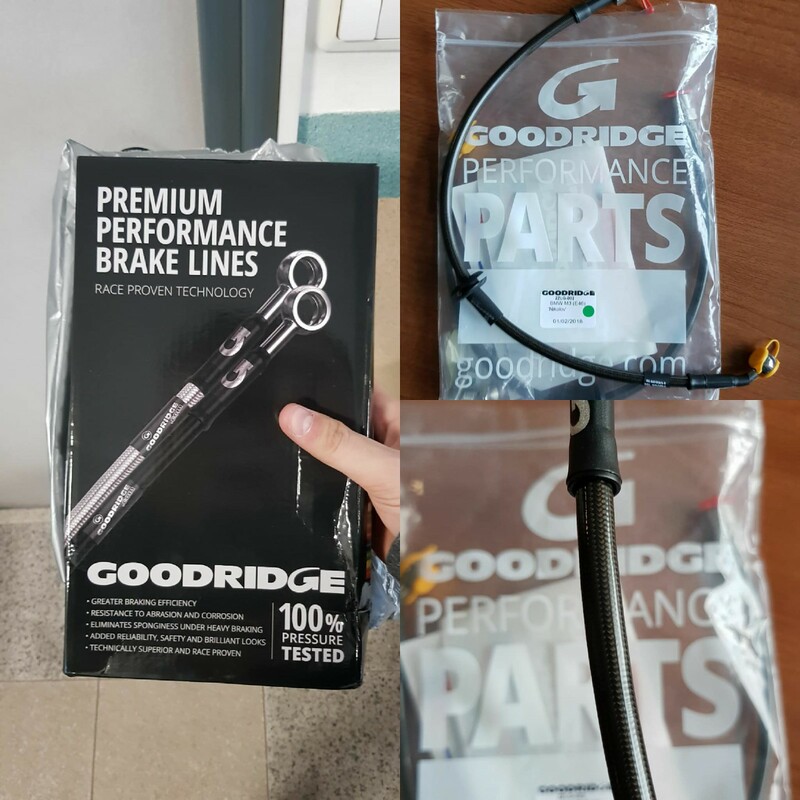 Brake Lines: Goodridge Braided SS Brake Lines included in package. Pads: Pads can be ordered separately. 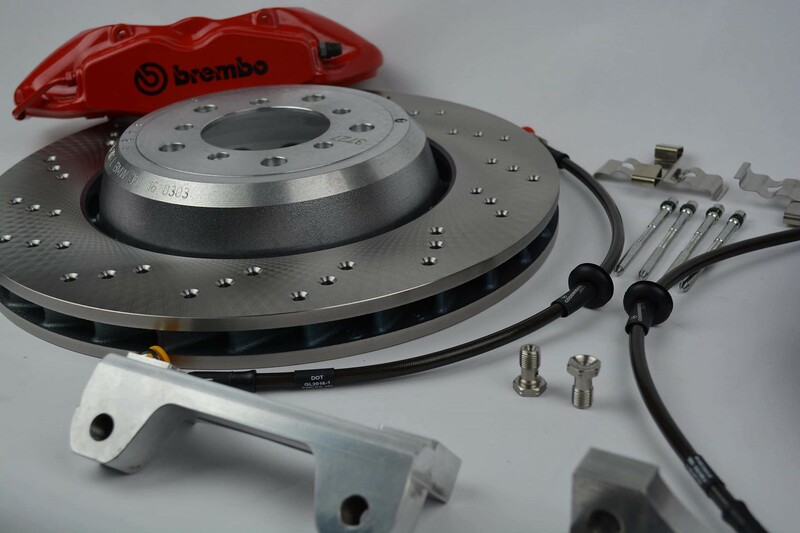 All in all, this kit will offer exactly the same front piston area as on the AP RACING e46 KIT and the exact same disc diameter for a fraction of the price. Retail Price will be $1509 USD for the full kit. 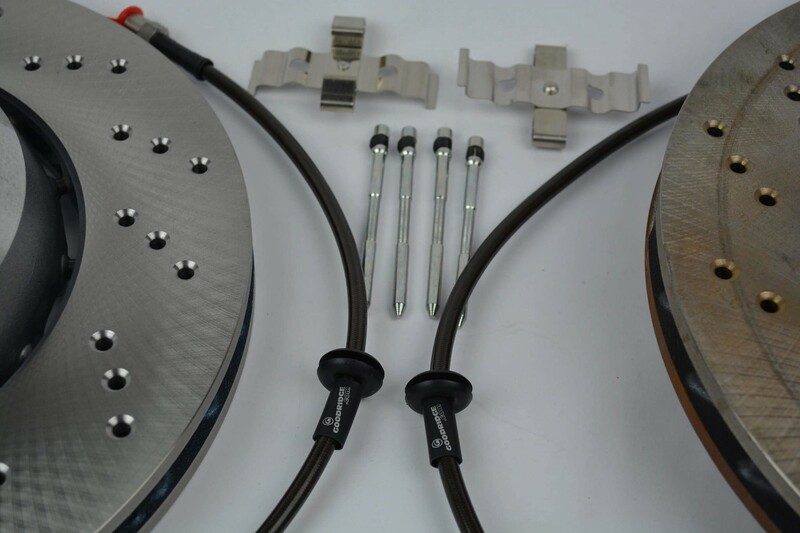 This kit will have a 2-Year warranty on all parts. 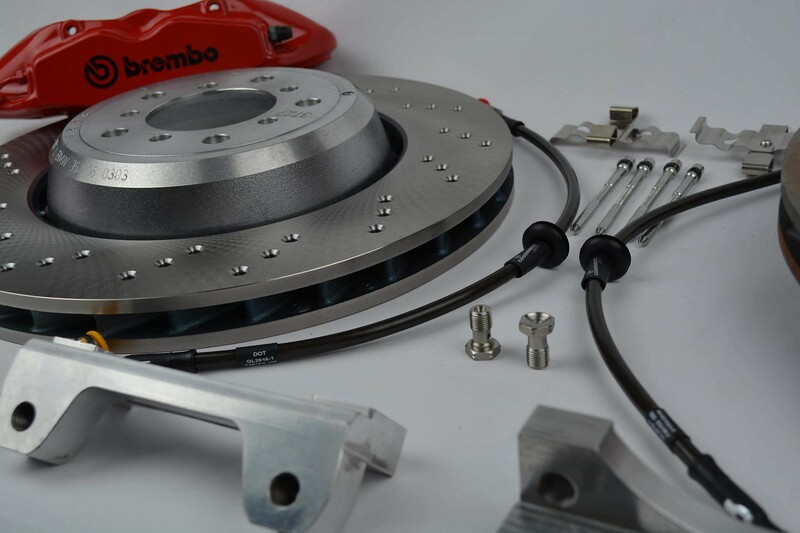 If you have been considering upgrading your factory brakes and don't want the hassle of rebuilding them and expense of piecing together your own refurbished 996 Brembo caliper kit and having to source custom brackets for them to fit and you don't want to spend double the cost for the Brembo GT kit, then this might be the perfect all inclusive package kit for you. Please let us know if this is something you all have interest in. 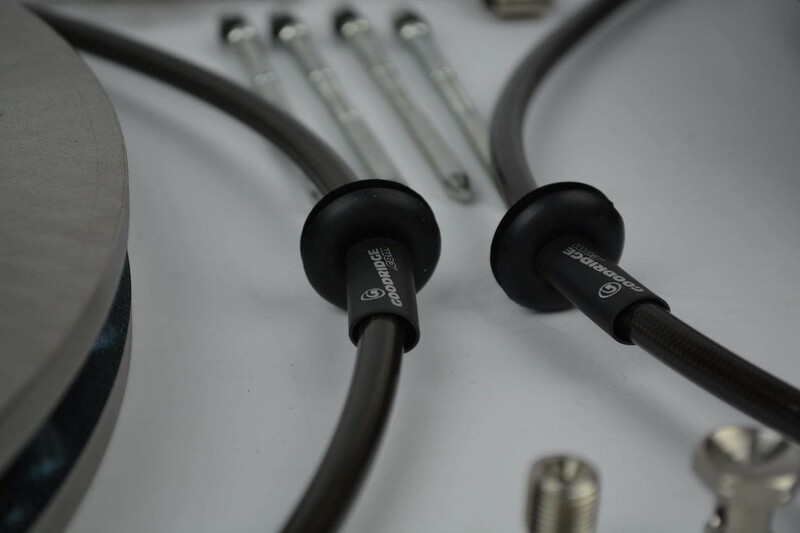 - Goodridge Premium Performance Brake Lines with carbon coating --> lifetime warranty on those too! Anyways, as I promised we will give a couple of color options for customization purposes. 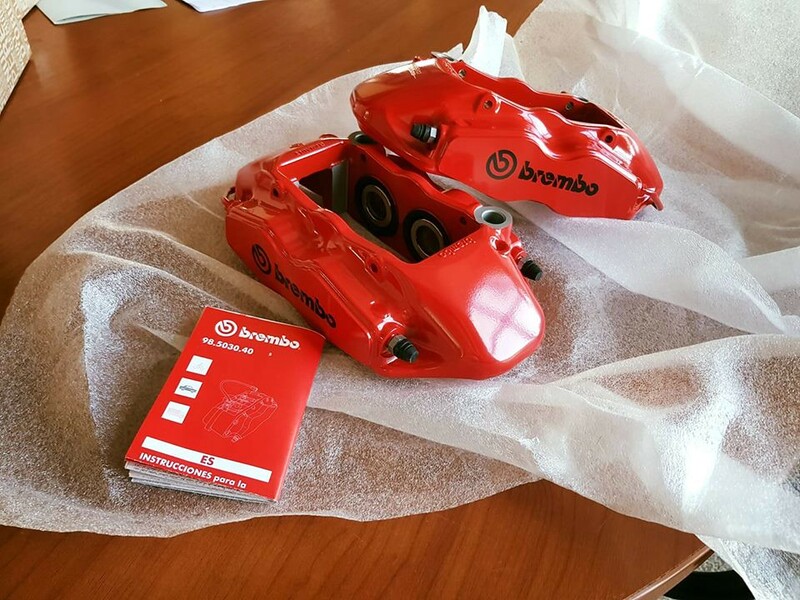 The respray will cost arround 100 USD for both calipers, оr 50 USD each. One thing I want to mention is that our respray technique is not powder coating. This also serves as warning to the people who love to powder-coat their rims. 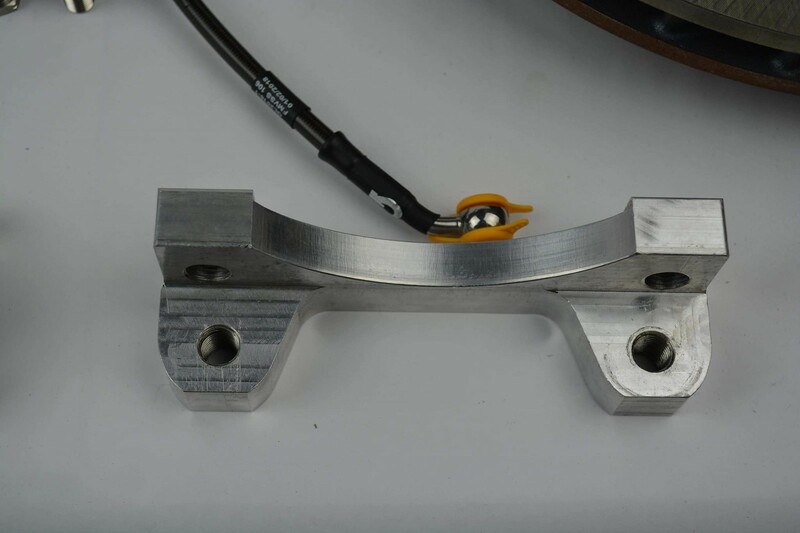 Powdercoating an item like an Aluminium rim makes the structure a lot more brittle and it loses a lot of its properties. 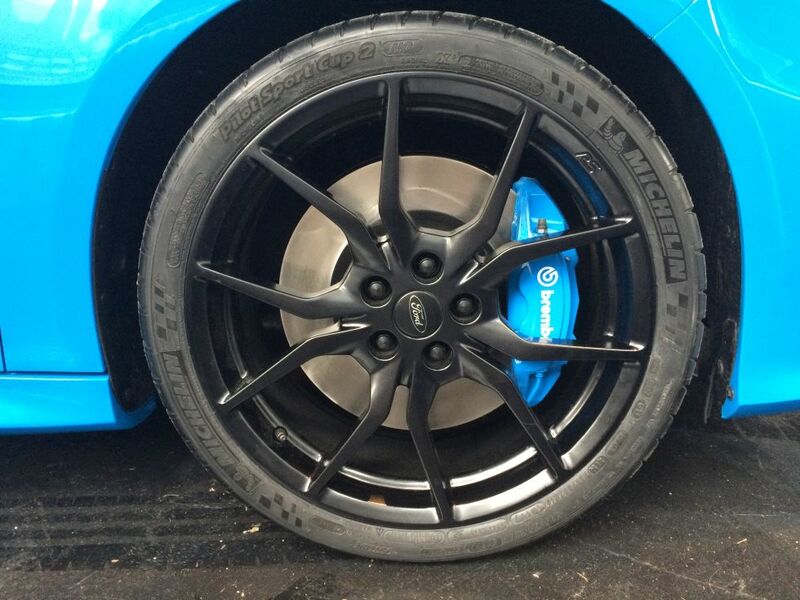 My rims were powder-coated before i bought them (look at my build thread if you want to know more) and they are nothing like the oem rim in terms of strength atm. 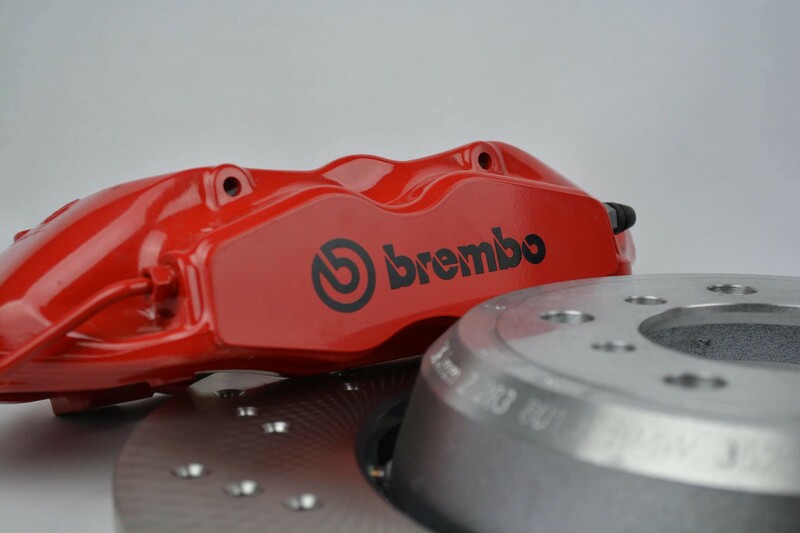 When it comes to STEEL items or huge chunks of metal like brake calipers, there isn't too big of a concern with powder-coating except for the finish quality. The quality of the finish just isn't too good. It looks rough. 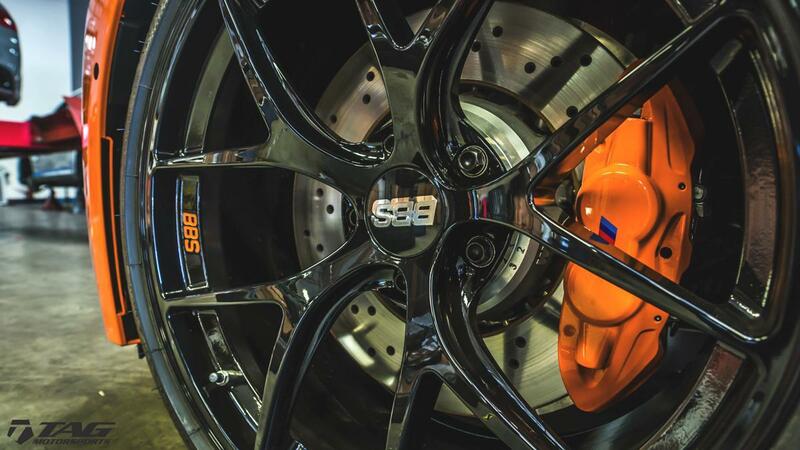 Even on the OEM calipers that is the case. 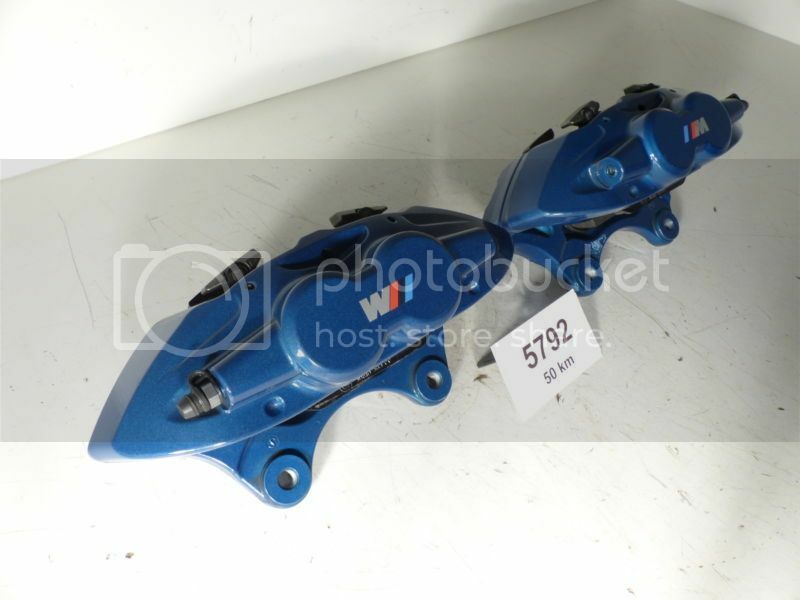 We will redetail them the right way, spraying them with paint and using very high temp-resistant clear-coat on top either from Du-Pont or from Max-Mayer. If you chose to go a different route, that is perfectly fine - but please don't ask if we can powder-coat the item - that is not our specialty. Flat Black - we will also have either JET BLACK or any type of deep black on order for the people who want to be more low-key. Many people have messaged me with multiple colors in mind. Some of them were colors from the M4 PCCB - Meridian Gold color. The color code for that paint has never been revealed. I know many of you will want a slightly different nuance of this/that or the other, and I get it - but we cannot offer that. These are the colors on offer, and I hope I hit most of your guys' wants and needs. 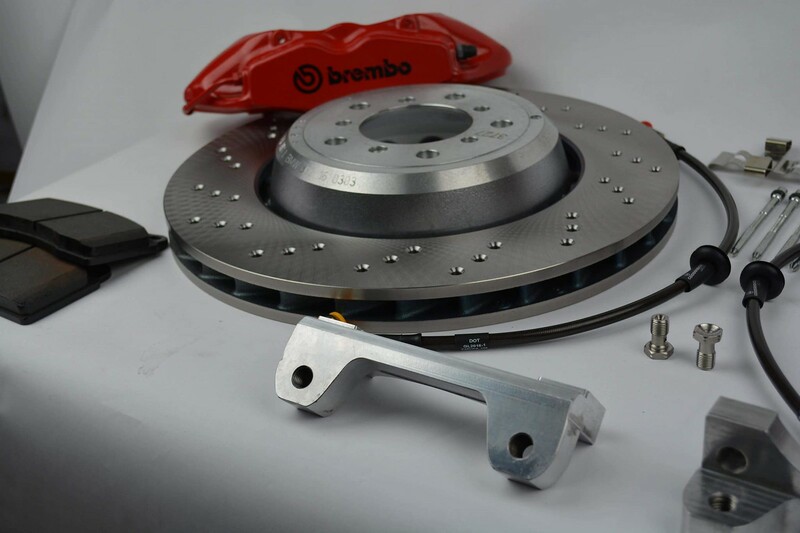 I think we are offering more than any other manufacturer for brake calipers atm. Some have asked - can we still order without the Disk. Answer to that is - YES ofcourse. We have the full kit on offer in Europe, but that doesn't mean it is the same for the USA. You guys are better off purchasing discs from your local dealers. So don't worry about that. I will update with finalized everything tommorow or the day after, and I think we are ready to open the GB up! The kit is ready! Last edited by Dr M3an M3; Wed, Mar-07-2018 at 11:20:04 PM. Definitely interested. Also curious to see what you come up with for the rear kit. 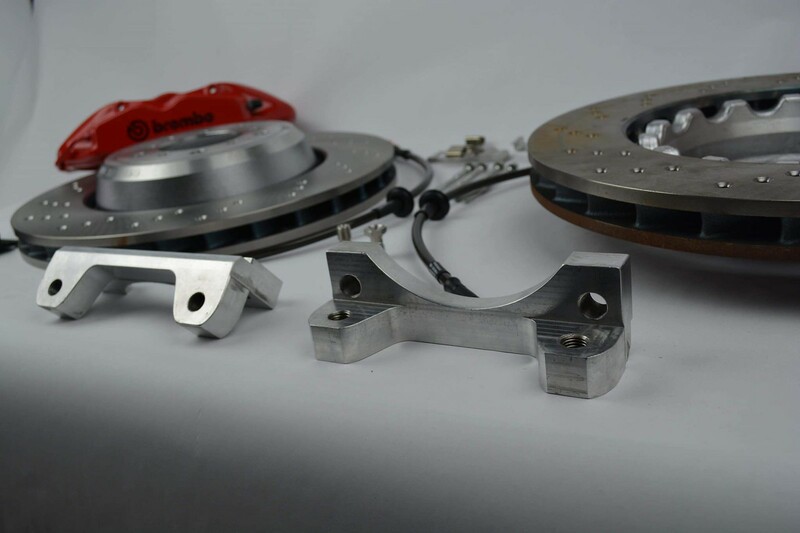 You mentioned you deliberately chose not to use the 32mm rotors. 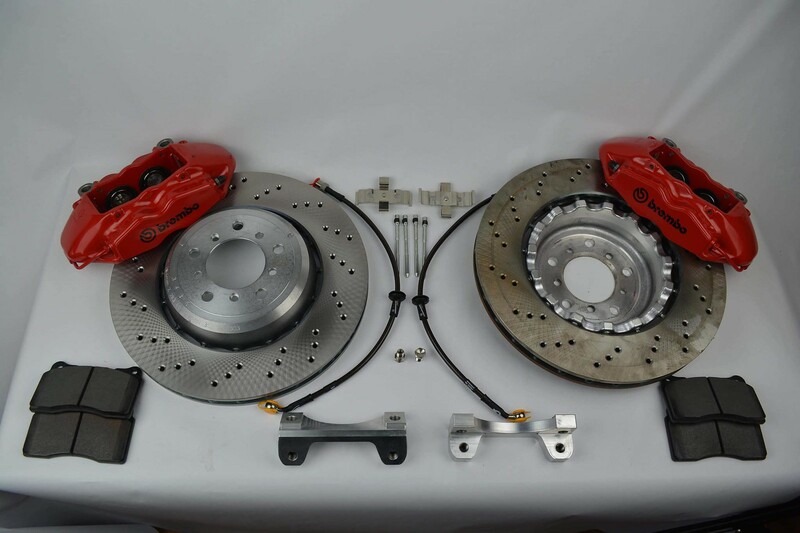 Would that be something I could upgrade to without getting new calipers? Nicceee... I'm interested as well. I’m in for a front kit. Do you know how much a repaint will cost? 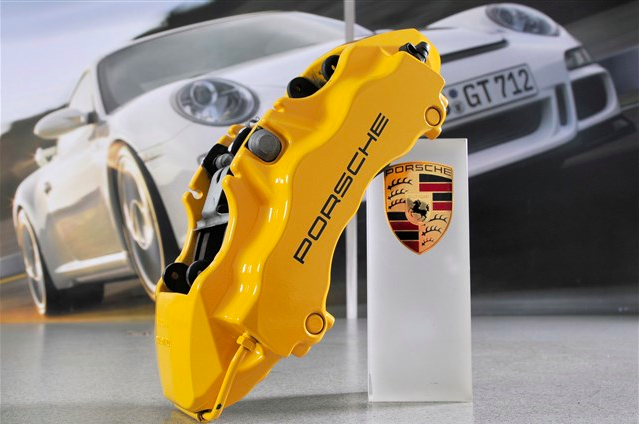 I would rather have a gray/silver or yellow caliper. Does the group buy price include shipping? 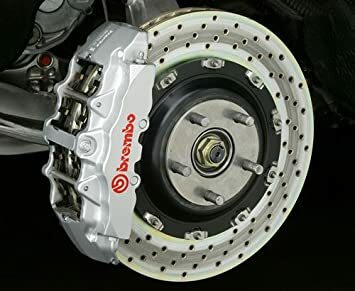 I would also like to know what pad shapes (specifically PFC) will fit the calipers. Very interested what about a rear kit ? Stop taking all my money. All times are GMT. The time now is 12:09:20 PM.